We offer amazing quality albums for all our couples on an a la carte basis. 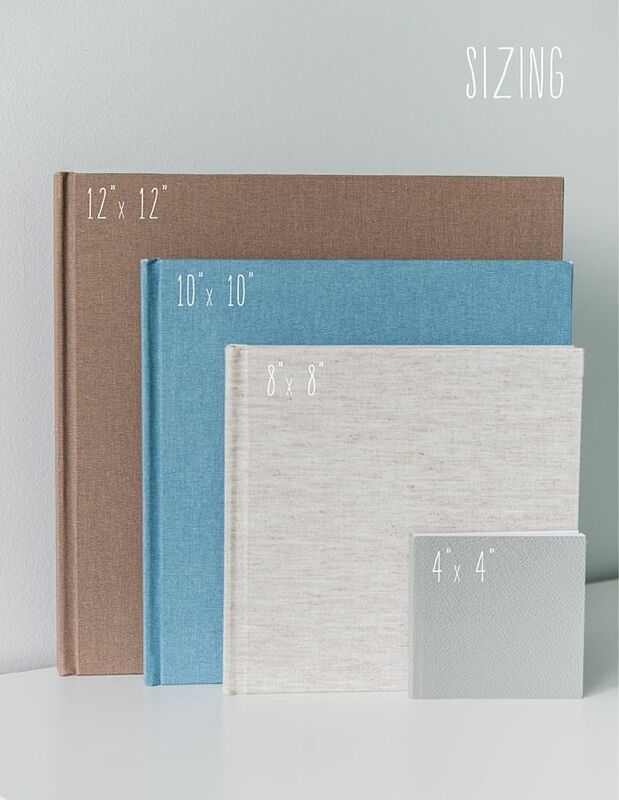 We offer both leather and linen album covers with varying page thickness. Our thick pages are 2mm thick. They are a sturdy build that is constructed with a substrate between each page. The linen album pages have a much lower profile. These pages do not have the substrate that leather album pages do, but are the two pages set back-to-back. Our leather albums are the highest quality and most impressive albums we offer. They have a hard substrate between each page and are substantially heavier and resistant to damage. 20 spreads are included in your album. Exact same layout and design as the main album. These make great gifts for parents and close friends. They’re very easy to carry around. The album included in Package 1 is a 10×10 Linen cover album with 20 spreads. Lay-flat binding, true photographic print and designed by our in house designers.